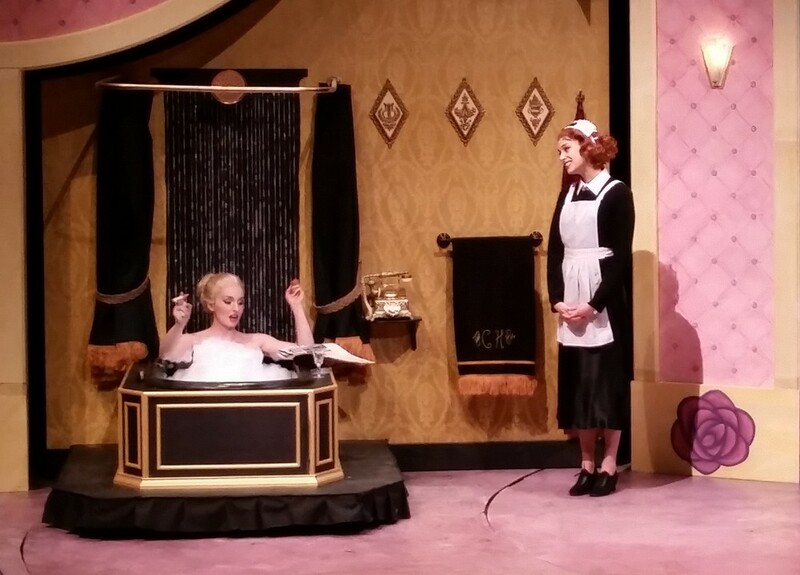 "Jamie DeHay's turntable set brought gasps to many audience members, including myself, for its creative use of space, transporting us, with the help of Ryan O'Mara's lights and the Vogue-like costumes by Michelle Pflug, into the bygone days of yesteryear." "Through scenic designer Jamie DeHay’s decorative and fashionable sets, the audience knows clearly that the ladies are not suffering during the Great Depression. … wonderful turntable stage, with its smooth transitions from home to dressmakers’ to beauty salon to Reno ranch to high-end nightclub."